I don't know what possessed me to do it. While I was in London recently, my friend sent me a terrific bottle of 2003 Franz Künstler Hochheimer Hölle Riesling Auslese. What with one thing and another I never got to open it while I was there. You know me well enough to anticipate I wasn't leaving it in London, either. And the box it came so carefully packed in wouldn't fit in my suitcase. So I tucked it into the center of my suitcase, checked it at the Virgin Atlantic counter in Heathrow, and hoped for the best. The whole trip home I kept asking my niece whether she thought the wine was already leaking through my luggage. "Yes," she told me, before she turned back to her movie. Oh well, I thought philosophically, at least it's white wine. Good white wine, too. So I'd smell like apricots for a while. Big deal. As we watched the bags careen down the chute onto the baggage carousel, tumbling and slapping into each other, I asked my niece one more time if she thought the wine had made it safely. "You're screwed," she told me with perfect honesty and a straight face. When my bag appeared, I hauled it off the carousel and we both started patting it to see if it was damp. No sign of damp. I gave it a good sniff. No smell of apricots. At my parents' house, I opened the bag, shuffled through my clothes and there it was--my bottle of Riesling Auslese, in pristine condition. I put it in the fridge and we drank it that night. It was delicious, with intense floral, honey and apricot notes, a rich, mouthfilling texture, and piercing acidity. I'm not sure I would try this with a red wine, but I would definitely run the risk again for a lovely bottle of white like this one. How about you? Have you thrown caution to the wind and checked wine in your luggage--without bubblewrap and special packaging? Was it white, or red? And what were the results. 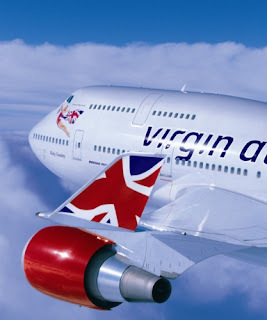 Oh, and thank you Virgin Atlantic. Your baggage handlers have excellent QPR in my book. Yes, of course, I do it all the time. On my last trip to Tuscany I brought back three beautiful reds. As long as each bottle is wrapped individually with layers of clothing around each bottle and they are not touching each other. And yes, put them in the middle of the suitcase, not on the outside where they can get smacked. Wine bottles are strong enough to withstand some serious tossing around. Happy,worry free traveling to you! I've done this a few times. I have a product sample that I might try to use that supposedly helps. What I've found is that a well-packed suitcase can protect almost anything. But the best bet is putting the wine into its own cardboard case with Styrofoam or padding and checking it. My boyfriend and I travel with wine almost everywhere we go. Given the carry on restrictions, our only option is to check the wine. I usually limit it to two bottles per roller board and pack one on each bottom corner. We have traveled all over the US, to the Carribean and to Europe with wine - red wine. Your description of waiting for a wet suitcase to come bounding down to baggage claim is one I can sympathize with for sure. I have the same as you without any issue, but with red wine I'm fairly conservative. I recommend getting a one bottle (or up to three bottle) styro shipper that will fit in the luggage and packing in that. Or, you can try this product which costs a few bucks. Should the bottle break, the "Wine Skin" has a really solid seal and any liquid should be contained within the plastic wrap. Note, I don't sell these (yet) but I have seen them available at various LA retailers and assume they're distributed throughout the country. I travel with wine all the time bringing a case back when I visit California. I have had no issues with full Styrofoam case shippers in Northwest/Delta and American luggage. On my trip from Spain in 2007, I took back almost 2 cases wrapped in my clothes inside 2 suitcases. They survived 2 airlines and a transfer in Amsterdam. Not one broken bottle. On a trip to Alaska I brought back a couple bottles of Alaskan wine. In the middle of the suitcase (duffle bag sort of thing with a bottom frame to support wheels) they got home just fine. I wrapped them in the dry cleaning bag you often find in the hotel closet. Two weeks ago I checked a small suitcase (on the same airline) containing three (fabulous) zins. They were in the three-bottle cardboard box we got when we bought them, but I took them out and put one of my husband's thick athletic socks over each bottle, then put them back in the box. We then packed all our other clothes etc. all around the wine box. I was worried when I saw the bag come down the carousel upside down and flipped on end, but they survived the ordeal perfectly. I never know if they will make it but I wrap them in clothes if I have a big suitcase. My grandma ships antique glass all over the world and she once told me that the secret to packing glass is to completely surround the glass with padding and immobilize it. It's worked for me so far. I'm usually more worried about the extra weight than the breakage factor. But the max bottles I've packed and checked were 4. But here's what I do. Since I travel with my husband, I make one suitcase the dedicated dark clothing/wine suitcase. I do one layer of clothing. Then I roll the wine bottles in newspaper and put them in plastic bags. Then I roll clothing AROUND each bottle and put them near the center of the suitcase. I also roll t-shirts and other clothing and put between the bottles. I also put rolled clothing along the edges of the suitcase to stabilize the bottles. Of course all this is a waste of time should the diligent TSA agent decide to rifle through everything, unroll the clothing, and mess up my careful packing. Which is much more of a possibility should the items in the luggage look dense on the x-ray machine. I only do this if I don't have an option to ship. I certainly wish we could carry on wine like we used to! Yep, do this at least one direction almost every trip. Red, white, and yes, even bubbly have always survived just fine. Bags are routinely rifled by the TSA, but it hasn't posed a problem. I individually wrap the bottles in whatever's handy and make sure the bag is full enough that things can't really shift around. Usually do a couple bottles per roller bag, but have been known to squeeze in three or four. Good point about the extra weight--pack strategically or you'll be paying extra baggage fees. I carry a handful of Wine Skins with me when I go. They work great. And, no, I do not work for the company or in any way make $ from this recommendation. Like many of the others who have commented, I too travel with wine frequently. For the most part I typically just roll up each bottle in a pair of pants and then seal them in one of the hotel plastic laundry bags. I tried a new approach during my visit to Australia in April. I purchased a wine case shipper, which fit 12 bottles safely. Unfortunately I had a total of 15 bottles to bring back with me, leaving three bottles to check in my bags from Australia back to Virginia. Rather than chance a Shiraz breakage during a 10,000 mile, 4 connection journey. I found a local mail store in Melbourne (similar to a Fed Ex Kinkos), and had them put bubble wrap around each bottle, and then shrink wrap each of the bottles to contain any juice from leaking out just in case one of the bottles broke. Thankfully all three of the bottles that I checked in my bag, made it back to Virginia with no breakage. Last year, I brought back four bottles from Hungary in a backpack. My brother did the same. We wrapped them in shirts and packed them in the center of the backpacks. I would have preferred it if the winery would have shipped them for us, but they made it home ok.
My wife and I brought six bottles of red back to the UK from Sonoma in 2005 without a hitch. The multitude of issues surrounding the shipping of wine in and out of the USA drove us to it! I'd love to tell you about them but they were consumed before I became so diligent with my record keeping and tasting notes. On my last trip to Manila my wife and I packed four bottles of red wines from Livermore. Bubble wrap and sealed plastic bags between clothes in a rolling suitcase. All arrived safely. three words -- travelling yoga mat. They're thin and, when you roll a bottle (or two) up in them to stash in your suitcase they work like a charm. I stuff the space around the neck inside the resulting tube with socks and such. When you get to where you're going you can have a stretch....and then a glass of wine! I just got back from France. I Brought back 24 bottles of wine in 2 small checked bags. Bubble wrap only. The bags weighed a ton, way over 50 lbs. but luckily Air Canada did not charge me. Everything made it perfectly fine, no damage that I am aware of so far. -old friend and Davis alum.